Website design can be an intimidating prospect. But having a fully functional responsive website is a vital asset for any business these days. Whether it’s a full e-commerce site, a blog, or just a simple informational site. Any website will help improve awareness of your brand and can add another revenue stream. We have designed websites for a wide range of different clients from hotels and restaurants to full e-commerce websites for online businesses. So whatever industry you’re in, we can certainly help your online presence. Our website designers have years experience in designing websites for a number of different clients in a range industries. We like to get to know our clients as best we can. This helps us design a bespoke website that fills all of the client’s needs, as well as functions correctly for user-experience. 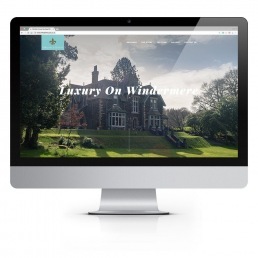 All of the websites we design are designed to be responsive to work on all devices and screens of different sizes. This makes it as easy as possible for customers to view the website whenever, and wherever. The same as our web designers, our developers have years of experience in developing websites and mobile apps. We work with all major CMS and can work to our client’s needs. Many of the websites we design are on Wordpress. This makes it easy for our clients to update and change any information on their site once we have developed it. Once we have finished the website, we can provide training so you fully understand how to update and change aspects as you need. 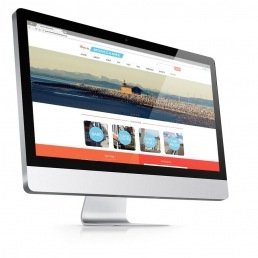 Website design and development is a great way to give your business an online presence. But having strong SEO is the best way to get your website and business seen in front of thousands of people. If your website isn’t SEO friendly it can make it hard for customers to see you online. This is why we offer SEO services to all our customers. We not only want to help you have a great online presence but make sure you’re seen by as many potential customers as possible, adding much more value to your business. We are a friendly team and love to help our clients out, locally or elsewhere. If you are considering a new website or having one redesigned, give us a call and our team can advise you on the best way forward. Our developers are experts in HTML5 and CSS to keep your website looking up-to-date and fresh. 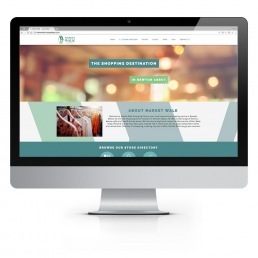 We design all our websites with the user in mind, helping to boost visitors and conversions through e-commerce. Creating high-quality content is great for the user experience and most importantly the websites SEO. SEO is the best way of getting your website seen by as many as possible. We offer SEO management as part of the web design package. Whether you already have brand guidelines in place or are looking to rebrand, we can put the right brand strategy into practice.